I entered the Global Talent Search this year after being really excited about all the entires last year. Not to mention, my "Make Art That Sells" class had just finished (also put on by Lilla Rogers' Studio) I love Lilla's approach to making art. I entered her class with a little skepticism because I am ever the realist. Her way of approaching assignments was a game changer and really pushed me to the next level. 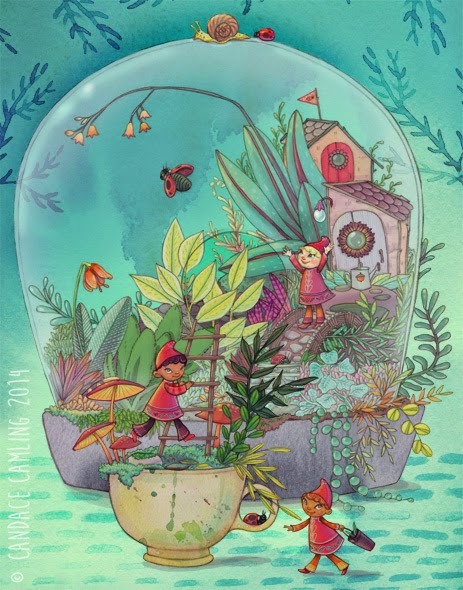 I know that the style of work may never be the right fit for her studio, but I have really enjoyed using her prompts to push myself further and create things that are the best I can possibly make. She seems to be a genuinely positive person with a lot of great tips and ideas about trends. I'm not a trend chaser, but I think you need to have some awareness about what is selling at the moment. It's also been nice to feel a little validation about some of the trends and color stories I had noticed on my own. I like to think I "get out there" enough to see what is "in" for the moment. 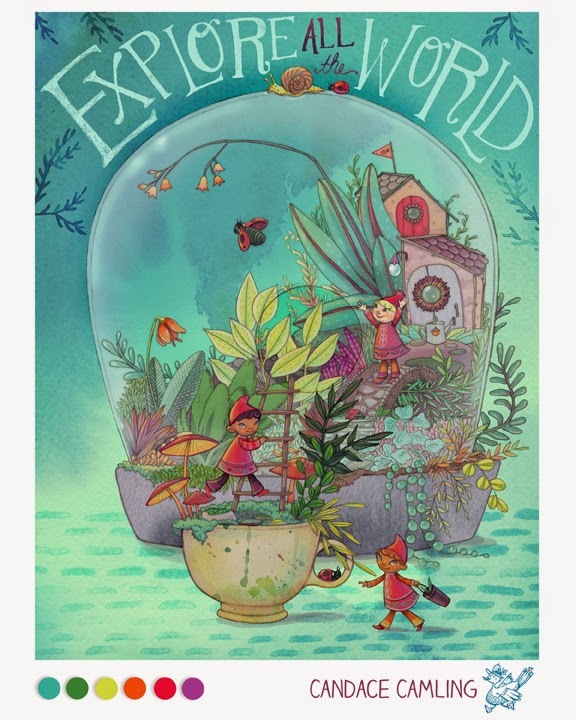 Anyways, the assignment was to make a piece of wall art with the theme of tiny terrariums. We were supposed to include at least one word. I didn't make the top 50 from round one, but there were 999 entries and the gallery is full of absolutely beautiful, inspired art. I made a piece that I feel is 100% me, and I put everything I had into it. For my portfolio, I plan to take the hand lettering out and just show the artwork, since I feel it has a very narrative quality. Here's to making the kind of art that makes you happy! Good luck with the competition! This is so pretty. You are so talented, Candace.